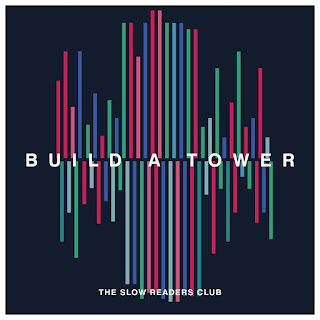 The Slow Readers Club return with their third album Build A Tower on May 4th. Since the release of their last album their world has been turned upside down, touring with James at the band's request, selling out The Ritz and Albert Hall in Manchester months in advance as well as established venues across the country accompanied by their now customary "READERS" chant that follows them everywhere. Armed with a dedicated fan base, it's time for them to deliver new material for the first time since their star began to rise, and with Build A Tower, they've exceeded even the wildest expectations. Much of Cavalcade was built around the lyrics of front man Aaron Starkie, dark words of forboding turned round into optimistic joy and celebration by the music of his band mates. It's fitting therefore that the album opens with Lunatic, the first song of the new material they revealed and the one that mostly closely resembles what they've done before. The song also gives the album its name, the call to "build a tower, hundred storeys high" as "once again I'm drawn towards oblivion" smacks of the desperation of a man that "in days of old I'd be chained to the floor", but, as their live shows last year and this showed, the song acts as a lightning rod for the disaffected, the disengaged and the somewhat lost to gather round and tell each other that it'll be alright. It's also done the job of breaking them into daytime radio places they hadn't been before, but out there in promo land, like on the album, it's a precursor for what's to come. Supernatural follows and gives the first taste of what's to come. A confident, strident, rhythmic drum beat ushers in keyboards that point towards an approach that wants to get people dancing (or stomping as is the wont of both band and fans) and a second half of the verse and the chorus soar out of nowhere as Aaron declares "dare not delay, can't wait, won't wait, fool for the chase." It sets the tone for the rest of the album, but not the standard to these ears although the band have intimated it’s one of their favourites. You Opened Up My Heart does that. Already lauded by the fan base as the best thing they've ever done (to date, as most of them haven't had the pleasure of listening to Build A Tower in full, but more of that later). It possesses the killer line "believe enough to lose control, where there's love there's always hope" that could prove to be the soundtrack of a million documentaries and news pieces, but there's more to the song than just that. There's a positivity that starts with the earworm riff that is the song's calling card that you'll find stuck spinning around your head as guitar and bass collide and explodes into the glorious declaration of love that is "in my mind I'm seventeen, and I remember you're the one" as the cure to the mind's disease of the second verse. Hearing it blasted out on daytime radio reminds us just how far this band has come and just how much further it could go. Never Said I Was The Only One is another of the songs they previewed on their tour last year, but here it blossoms out. Less immediate than most of the rest of the album, partly due to its more refrained tone, it makes its mark with a warmth that comes from Aaron singing with a hint of regret "like a boy with no border pass, far away from the sacred path" and then spinning it round on its head with the optimistic soaring "I can hear the choir singing, how they long for new beginnings" as the music lifts in time with him. It's one of the moments where the album's production values come into sharp focus, it's a very unfussy record in parts, sparse rather than throwing the kitchen sink at it in order to make the "big" record expected of them, but actually achieving just that by not overdoing it. If You Opened Up My Heart is going to beat down the doors of radio stations, On The TV is going to charge in all guns blazing and hold everyone hostage. Whether it be the punchy shuffling beat that underpins it or the expressive vocals that really show just how much range and depth of emotion that Aaron can now channel. In the verse he sings of family and the protection of the unit with lines like "tell me father, tell me how your day went, hold me mother, tell me I am safe" despite turning the television on and witnessing "on the TV, the world is on fire, we've all gone insane" to a beat that's going to have thousands of hands raised in unison singing it back once they start to play it live. It's a simple, yet perfectly observed commentary on the state of the nations and the importance of family, whether that be blood or those that social media have created. Through The Shadows is another of the songs the band has previewed live, but they've completely nailed it on record. Of all the songs on the album it accentuates the power and range in Aaron's voice, aided by some clever reverb on the voice in the verses that give it a haunting, anthemic feel that you'd associate with bands that sell hundreds of thousands if not millions of albums. Once again, the lyrical themes are dark and complex and deal with the human condition - "sorrow fills up your heart, down low, cursed from the start" - but feel like they're telling you that it's OK to feel like that because it's not uncommon ("silence, your friend and mine") and you shouldn't feel alone or trapped. The Slow Readers Club do it without losing the intimacy of their first two albums or compromising on any of the qualities that made those two records eventually talk to so many. Lives Never Known turns the pace of the album back up a dial. A repetitive electronic beat ushers in a sense of uneasy urgency that runs throughout the song. Like so much of the album, it sees Aaron in reflective mode, pondering the state of the world through the eyes of an individual in a way that will connect to the listener whatever their take on the lyrics means to them. It's a difficult trick for a songwriter to achieve once, let alone consistently, but it is why they have made such a strong connection with people, along with the way, and no apologies here for the repetition, the music picks up the listener and takes them out of whatever rut they're in and tells them they're going to be OK.
Not Afraid Of The Dark takes that questioning of the world we live in further, pondering that "in the age of innocence, what a mess we made, to be measured out in numbers from the cradle to the grave." Again it's aimed at anyone or everyone, depending on the audience's take. It breaks down beautifully after the first verse and builds back slowly, allowing the music and words to breathe before the punch of the chorus's battering drums and guitars deal a knockout blow, moving from subtle to blunt in a blink of an eye and then repeating the trick when the song stops dead after guitars lull you into an expectation of a soaring final chorus. Lost In Your Gaze is a tale of inescapable obsession - "to fall in too deep was all to easy, now you say we're too close for comfort" - and the resulting feeling of helplessness that's reflected in the slow build to the end of the song where Aaron repeats "you drift away from me, like some forgotten dream" before Kurtis lets loose with a guitar solo into the final chorus. It's powerful, anthemic, built to be listened to alone in a dark room and to be shared with your friends after a few beers, arms round each other with similarly inclined people to whom this talks in a dark music hall. They've saved the best for last though. Distant Memory is the best thing they've ever done and a fitting conclusion to an album that's aimed high throughout and hit the mark. Whilst much of Cavalcade and the debut were written in the first person, Distant Memory is written about someone else, urging them not to look backwards ("tales of deep regret bind you to the past, you might feel your life has no consequence, left it all to chance") at what's happened in their life, but to look forward ("write a new story .... don't give thought to what might have been") and focus on the positives and open up and talk about issues. There's a depth of emotion to Aaron's vocals that's allowed centre stage by the music for the first half of the song, then it grows back, underpinned by a drum beat that slowly yet almost unnoticeably picks up pace until the whole song explodes into glorious light for the last minute as Aaron fights for the first time to be heard declaring "you want someone who does not dance in time, known for chaos, you're known for violence, you want someone who does not walk the line." It's a rare moment in thirty plus years of listening to music where it made me freeze on first listen, one of the most powerful and affecting sixty seconds, like someone's delved in your brain and joined the dots. It'll be as spectacular an end to a live show as it is to the album. There was a lot of pressure on the making of this record; for the first time ever The Slow Readers Club needed to deliver an album to satisfy people other than themselves with expectation from the fans and their label and management teams that didn't accompany either their self-titled debut or Cavalcade. In many senses, it is a make-or-break record for them as the stakes have been set so high by the success they've had over the last two years with an album that is in effect four years old. Build A Tower delivers on every level, it's a marked progression in their sound whilst staying true to the studio and producer with whom they delivered Cavalcade and you can hear the confidence that success brings pouring out of every note and every word. For a band that has spent the best part of a decade trying to get heard, this album is going to ensure that in spades, and secure the breakthrough into the charts and the big big halls of the land that those expectant on-lookers are demanding. Its success belongs not to just to them, but to every band in Manchester, or any other town or city, that's steadfastly believed in their music, worked tirelessly to promote it with little or no backing and it shines like a beacon of hope in a world where success is predetermined by taste-makers and record labels rather than the simple quality of the music and the lyrics and good old-fashioned word-of-mouth. Build A Tower is out on May 4th on CD, cassette, cherry red vinyl and a limited edition marigold and black vinyl exclusive to their website. On the same day they also release a CD and vinyl version of their six song set recorded with Joe Duddell and a string quartet at Festival No 6 last September. 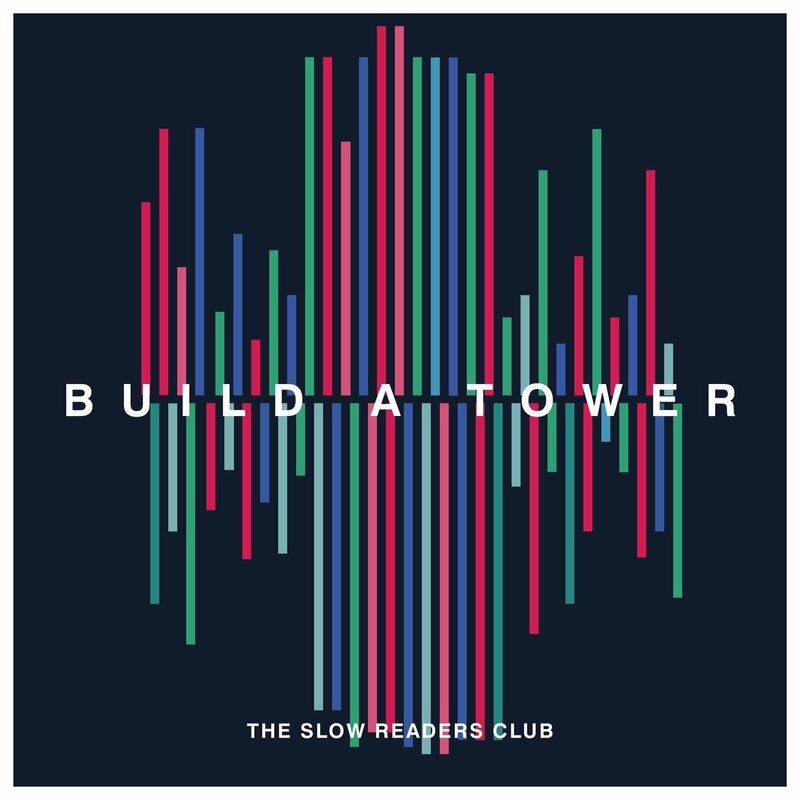 The Build A Tower tour calls at the following venues : Cardiff Globe (April 26), Southampton Engine Rooms (27), Leeds Brudenell Social Club (28), Manchester Cathedral (May 4), Liverpool Sound City Festival (5), Glasgow Stag And Dagger Festival (6), Newcastle Riverside (10), Hull Welly (11), Nottingham Rock City (12), Wolverhampton Slade Rooms (17), Norwich Arts Centre (18), Northwich Library (19), London Islington Assembly Hall (25), Stoke Sugarmill (26) and Kendal Calling (July 26-29).